The LED Jellyfish offer a unique way to light up the night. 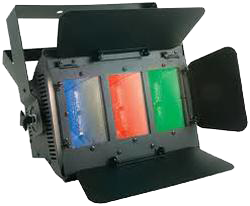 With it’s special build you get bright reds, blues, greens, and white beams of light plus a color changing case! It is a 2 for 1 deal. The HexaLED is an LED centrepiece effect that produces rotating moonflowers from its 6 lenses. A dynamic and exciting effect, it's like having multiple photons in the one unit. 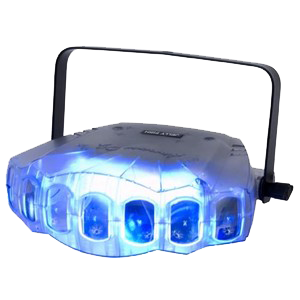 Super-wide beam spread controllable by DMX, sound activated stand alone operation or master / slave. 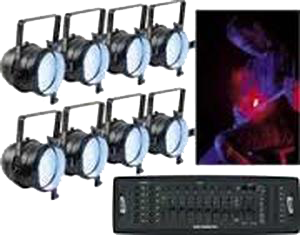 3 operation modes: DMX, Sound Active with built in programs & Master/Slave. Runs extremely cool! Run all night! 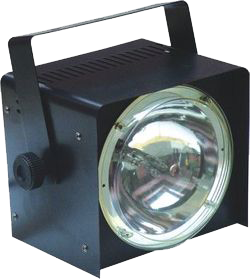 The OCTOPUSTRI uses one intense tri-colour 9W LED to produce a range of sharp colour beams that dramatically move around any space the light is used in. 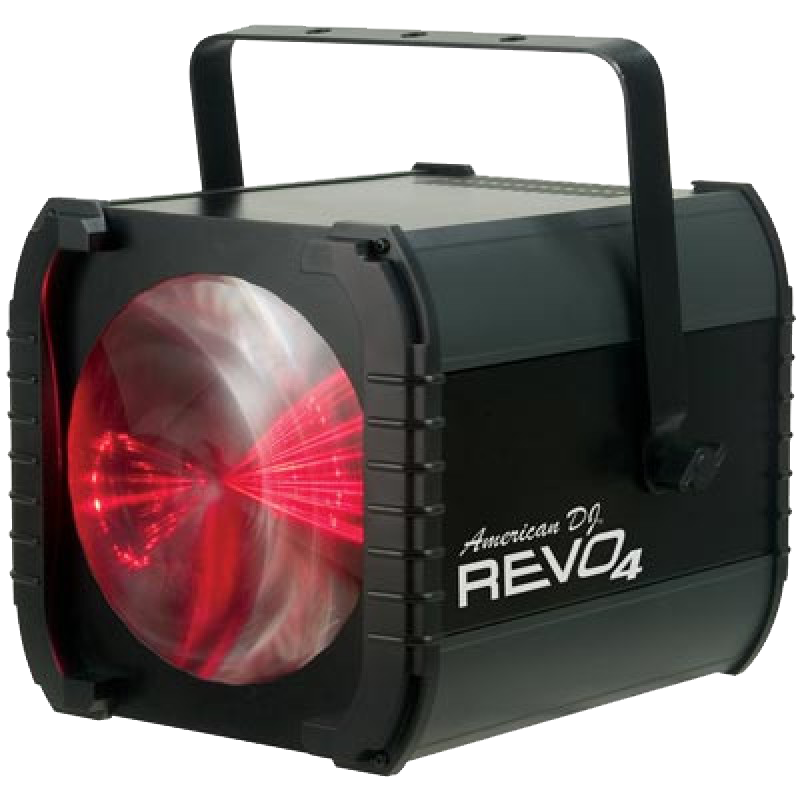 The beams fly out of the lenses in multiple directions producing a vivid and spectacular effect. 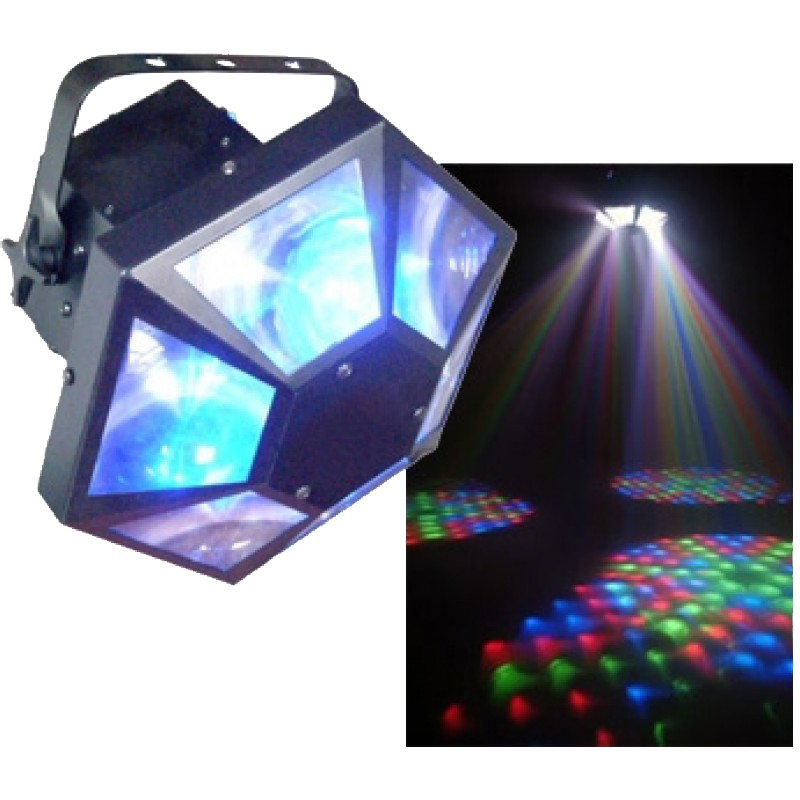 The inbuilt microphone ensures the light show will move around to the music while DMX control will allow you to take control of the light and its movements. 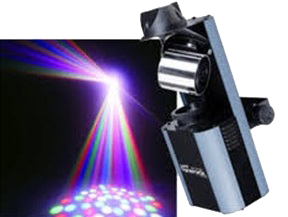 The compact Lazer effect is an eye catching laser effect perfect for any occasion. The laser creates a moving beam array that looks like fireflies and can be projected over long distances. The Lazer has 3 modes of operation; Sound, Strobe, and Auto modes, together with strobe and speed controls for you to achieve the desired effect. Variable speed strobe light. 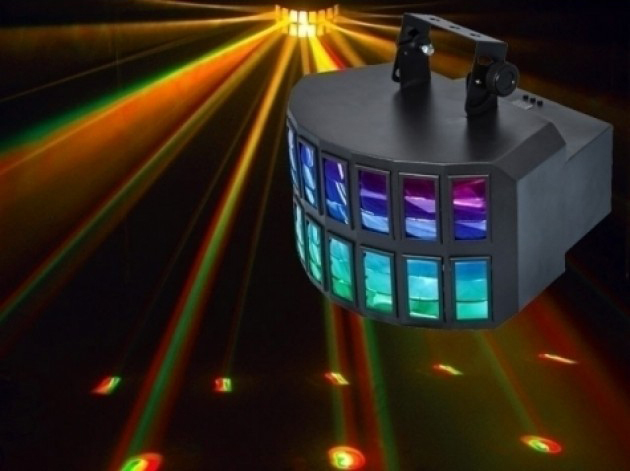 A great strobe light for bands, mobile DJs, clubs, or special effects productions. The DERBYLED is a classic oldschool effect, but newly updated with a powerful LED light source. 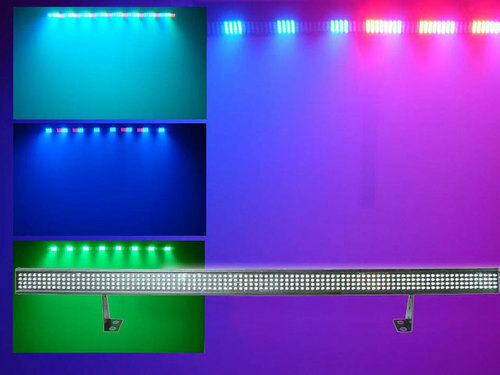 Two 9 Watt LEDs featuring 3-in-one RGB colour mixing, shoot a dazzling array of sharp colourful groups of beams around a room. The Derby is sound activated with the beams moving quickly to the music. Being an LED source, the unit is low powered, energy efficient and can be left running continuously. The LED DynaRock Barrel Scanner is a stylish scanner with 46 pieces of high power LED's. 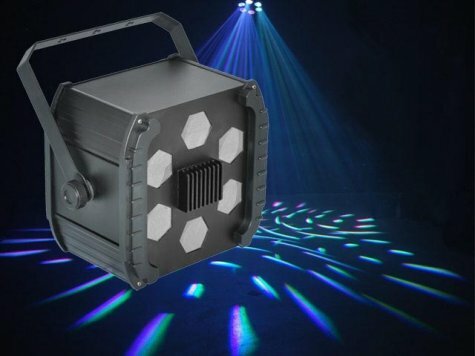 The unit has a high light output and is very easy to use in either stand alone modes or via a DMX controller. All functions are controllable by DMX-512 or the scanner works in stand-alone mode with music activation. 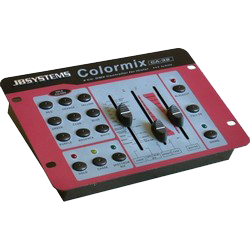 322 LED’s RGB This colour wash panel features DMX and built in programs with sound to light. 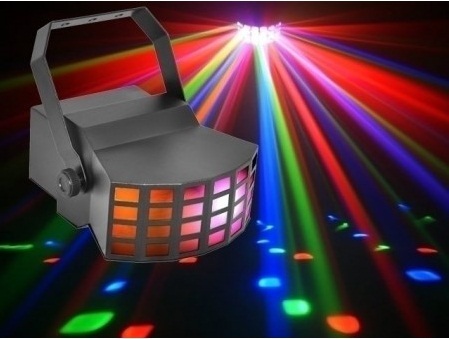 Can make any stage come to life or great party dance floor lighting effect. Link multiple units for even greater effects. 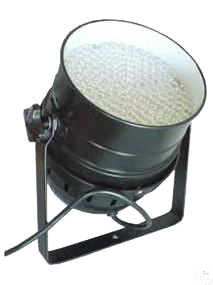 The LED bar is a narrow, streamlined design LED flood light, which can be used in a variety of applications. Extremely bright for its size and power usage, its 384 LEDs make the bar ideal for washing walls with colour or mounting in tight areas to provide light and atmosphere. Side fill, up lighting, on H stands whatever. 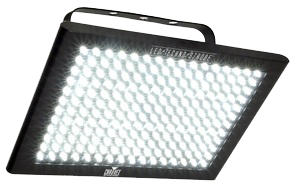 The LED bar is a versatile performer equally at home as a cyclorama light or as a stage wash. This 4 foot UV tube makes everything white glow in the dark. A superb effect for entrance ways, the dance floor, ambient zones or anywhere this unique ultraviolet look is required. Also includes with batten holder with 240v plug fitted, simply hang and plug in. The PARBAR set is an ultra-convenient package offering real portability for performers on the move. 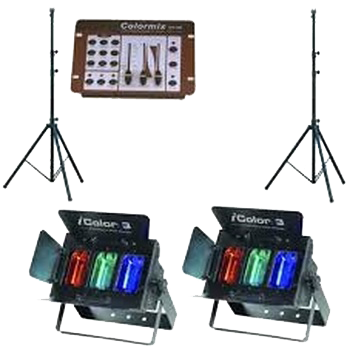 Consisting of 4 x LED RGB heads mounted on a T-Bar, with sturdy lighting stand, foot controller and compact carry case all included. It’s a complete out-of-the-bag system that can be set up within minutes, then packed away to an easy-to-transport package, about the size of a soft guitar case. Multiple clours creates additional colours to be used.